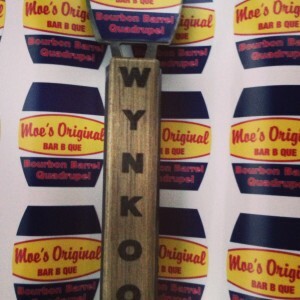 Wynkoop Brewing Company has teamed up with the crew at Moe’s Original BBQ to bring you a specialty beer for your finger-licking delight. 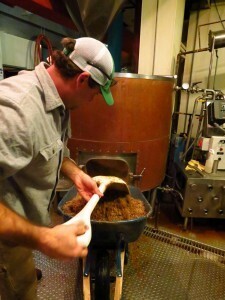 Moe’s Original BBQ beer is a Bourbon Barrel Quad made with pit-smoked rock sugar. (11% abv). 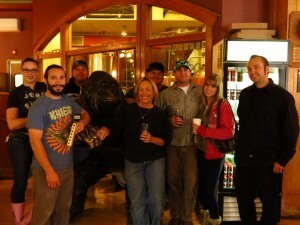 This BBQ beer will be available exclusively around Moe’s BBQ locations in Colorado starting Saturday, January 11th. (Check with your local Moe’s for availability). 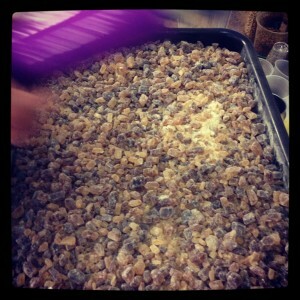 First, the rock sugar was smoked at Moe’s over applewood for almost 5 hours. 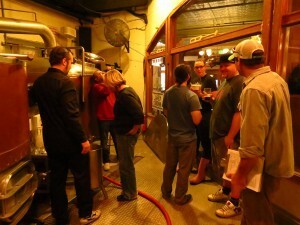 We then invited the crew over to our place to help us brew. This dark brown extra-strength Belgian-style ale is a Quadrupel, or a Quad. Typically, the strongest and richest type of beer made by an order of brewing monks, called Trappists, to sustain themselves during Lenten fasts. We threw our own twist on the recipe by having Moe’s Original Bar B Que pit-smoke the crystallized sugar typically used to boost the alcoholic strength of this type of beer. We then blend in a percentage of an old Quadrupel that we have been aging in our cellars for several years in a used Austin Nichols Bourbon barrel with the young Quad made with apple wood-smoked sugar. The result is a complex, malt forward (sweet) beer that contains raisin and caramel flavors with a hint of smoke, oak, Bourbon, boozy strength, and the special character of our Belgian yeast strain from the Westmalle Trappist brewery. Suggested Food Pairings: Chicken wings with sweet and tangy barbeque sauce, Bleu Cheese to contrast. Pork Loin stuffed with dried fruit and cherry glaze. Any meat Moe’s wants to smoke!